And so it's always powerful for me to visit countries outside of the United States generally, but obviously for an African American, and an African American President to be able to visit this site I think gives me even greater motivation in terms of the defense of human rights around the world. Barack Obama, "Remarks by President Obama After Tour of Maison Des Esclaves," (Gor�e Island, Senegal)�The White House: Office of the Press Secretary, (Washington, D. C., June 27, 2013). http://www.whitehouse.gov/the-press-office/2013/06/27/remarks-president-obama-after-tour-maison-des-esclaves. Rudy P. Guevarra, Jr., “Is Hawaii a Racial Paradise?,” Zócalo Public Square, September 15, 2015. http://www.zocalopublicsquare.org/2015/09/15/is-hawaii-a-racial-paradise/ideas/up-for-discussion/. Comments Off on But even the aloha spirit has its limits. We must be mindful that the present multicultural society grew from the collapse of the Native Hawaiian population and the dispossession of their land. Comments Off on Is Hawaii a Racial Paradise? I am a hapa, yonsei Uchinanchu (a mixed-race, 4th-generation Okinawan-American) who was born in Riverside, California, in 1973 and raised in the shadow of the Cascade Mountains in Washington state. My mom’s roots stem from Spanish-Basque migrants in California and white southerners in Tennessee. My father is Okinawan from Hawaii. Because I don’t look quite white, people frequently ask, “What are you?” From an early age, even though Hawaii and Japan were enigmas to me, I have had to explain my relationship to these “exotic” places. Growing up, we lived by my mother’s family and visited her parents weekly at their road-side motel near a Puget Sound ferry landing, but I knew little about my father’s childhood, an ocean away, on a Piihonua sugarcane plantation near Hilo. I got a glimpse on occasional vacations to visit family on the Big Island of Hawaii or my aunties in Los Angeles. The only other traces were evident in the Spam in our sushi, the fact that we called instant ramen noodles saimin, and in the echoes of Pidgin English in Dad’s accent that refused to be erased. The candidacy and election of President Barack Obama drew international eyes to the University of Hawaiʻi at Mānoa, where his parents met. But among some at the university, it is Obama’s late mother who stirs strong emotions of memory and hope. 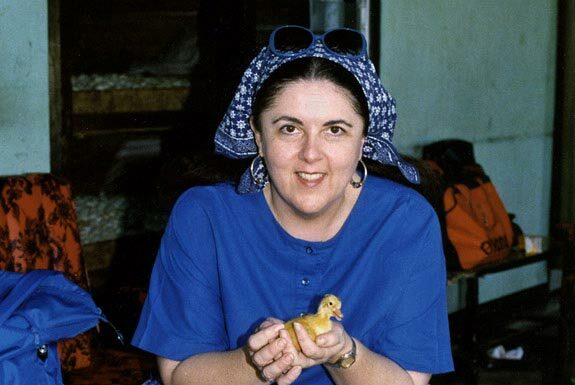 Stanley Ann Dunham took an unconventional approach to life on both personal and professional levels. Her son’s book portrays her as an innocent, kind and generous; academics who knew her and reporters who have discovered her describe the idealism and optimism of her worldview and work ethic. In her work, she was not a romantic, rather appreciating the artistic while dealing with the realistic, one contemporary observes. Dunham was born in Kansas and attended high school in Washington State. Moving to Hawaiʻi with her parents, she entered UH in 1960. In Russian class, she met the first African student to attend UH, charismatic Barack Obama Sr., who moved in politically liberal, intellectual student circles that included future Congressman Neil Abercrombie. They married and had Barack Obama Jr. in 1961. Obama Sr. left his family for Harvard [University] and then Kenya. Dunham returned to UH, earning a math degree. She pursued graduate work, married another international student, Lolo Soetoro, and returned with him to Indonesia. There she began extensive research and fieldwork and welcomed the birth of daughter Maya Kassandra Soetoro, nine years Barack’s junior. This talk examines the genealogy of settler images of the mixed-race, “almost white,” Polynesian body within early twentieth century eugenics. I look at why the idea that Polynesians used to be white, and are destined to be white again in the future, persists, and how it structures settler colonialism in Polynesia, with a particular focus on Hawaiʻi. I also show how Indigenous artists work to decolonize categories of race and gender attributed to Polynesian bodies, reframing their own bodies within Indigenous frameworks and futures. I confess: I avoided watching the 2011 Oscar award-winning movie The Descendants (directed by the acclaimed Alexander Payne of Sideways and Nebraska, starring George Clooney) for a long time. I had read the book of the same name, by Kaui Hart Hemmings, on which the movie is based. I have complicated feelings about the book—a witty and often wrenching portrayal of a rich Native Hawaiian family that doesn’t seem to feel, look, or know much about being Native Hawaiian. Though I recognize such struggles, about feeling or being disconnected from your own culture and nation, as a very Native story (or perhaps, more precisely, as the story of settler colonialism), I don’t recognize the ending of Hemmings’ story. After much turmoil, the protagonist of her novel decides not to sell the land he has inherited from his family. 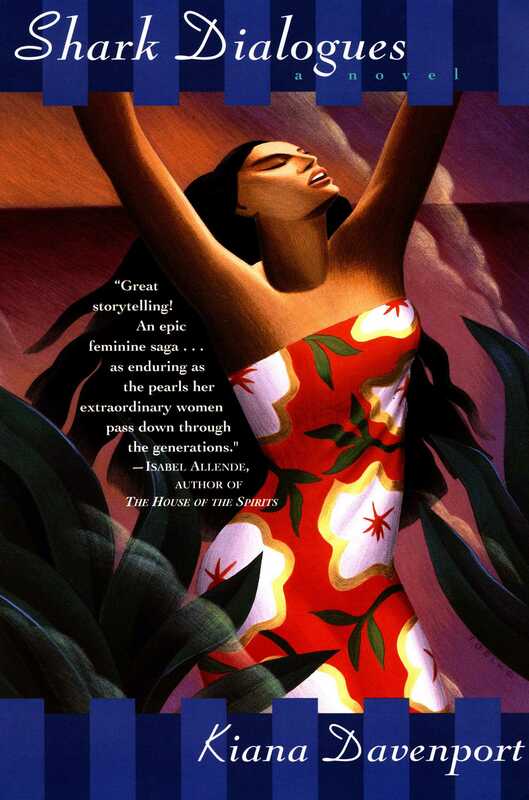 It is hard to connect with the rich protagonists of Hemmings’ novel because I don’t know any Native Hawaiians who have land to be inherited. I don’t know any Native Hawaiians who frequent yacht clubs. And I don’t know any Native Hawaiians who seem so completely unaware of the truly amazing achievements of recent cultural revitalization efforts in the Native Hawaiian community—from language revitalization to traditional seafaring (our beloved Hōkūleʻa has set sail on a round-the-world voyage this past week). But, to each her own, I thought. This dissertation analyzes how scientific knowledge has represented the Polynesian race as an essentially mixed, “almost white” race. Nineteenth and twentieth century scientific literature—spanning the disciplines of ethnology, physical anthropology, sociology and genetics—positioned Polynesians as the biological relatives of Caucasians. Scientific proof of this relationship allowed scientists, policymakers, and popular media to posit European and American settler colonialism in the Pacific as a peaceful and natural fulfillment of a biological destiny. Understanding knowledge as an important agent of settler colonial possession—in the political as well as supernatural, haunting connotations of that word— this project seeks to understand how Polynesians (with a particular focus on Native Hawaiians) have been bodily “possessed,” along with the political and economic possession of their lands. Thus, the project traces a logic of “possession through whiteness” in which Polynesians were once, and under the salutary influence of settler colonialism, will again be white. The project’s analysis coheres around four figures of the “almost white” Polynesian race: the ancestrally white Polynesian of ethnology and Aryanism (1830s- 1870s), the Part-Hawaiian of physical anthropology and eugenics (1910s-1920s), the mixed-race “Hawaiian girl” of sociology (1930s-1940s), and the mixed-race, soon-to-be white (again) Polynesian of genetics, whose full acceptance in Hawaiʻi seemed to provide a model of racial harmony to the world (1950s). Rather than attempting to uncover “racist” scientific practices, the project reveals how historical scientific literature produced knowledge about the Polynesian race that remains important in how Native Hawaiians are recognized (and misrecognized) in contemporary scientific, legal and cultural spheres. In addition to the historical analysis, the project also examines contemporary Native Hawaiian responses to the logic of possession through whiteness. These include regenerative actions that radically displace whiteness, such as contemporary relationship building between Native Hawaiians and other Pacific Islanders. At the same time, other regenerative actions attempt to reproduce Native Hawaiian-ness with a standard of racial purity modeled on whiteness, including legal fights waged over blood quantum legislation. Overall, the project provides a scientific genealogy as to how Polynesians have been recognized as “almost white,” and questions under what conditions this possessive recognition can be refused.